Does Trust Drive the Dow? Over at Room 8 , Larry Littlefield suggests that the history of bear and bull markets in the US is the history of consumers’ trust in business. That is, market forces are, at a macro-level, governed by the public’s view of business. Littlefield walks through eras in US history—the Robber Barons, the Progressives, corporate leadership in WWII, the Great Depression, Reaganism, the dot-com boom and crash—and points out the correlation with public confidence and trust in business. Now there’s an audacious view for you. Wish I’d thought of it. Is it true? As with any grand scope theory, the concept of “proof” is not really applicable. The point is to make you think. With such a sweeping thesis, there are bound to be problems of definition, and problems of cause vs. correlation. What caused what? What what is “confidence” anyway, and how does that relate to trust? And so on. Still. At a certain macro-level, he is most assuredly right. Markets do depend, at the end of the day, on confidence. Confidence about the prospects of the future relative to the present. Confidence about the economic good that business will bring forth. Or lack thereof. Confidence at that level is wholly dependent on the belief that things will work out, that people and institutions can be depended on to play certain roles, that their motives will be socially acceptable, that the social fabric will continue to be intact. You could certainly call that trust. And from that vantage point, it surely is enough to move markets, both up and down. 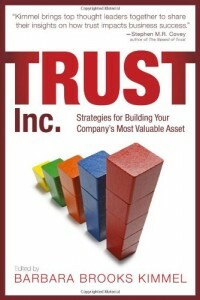 Trust isn’t just the stuff of personal relationships and surveys; it has real economic consequences, to societies, economies, pension funds and people. Trust is money. But its economic currency depends on all the rest. Economic value, for all we in business like to talk about “hard” things, really does depend on mutual trust—the “softest’ of things. Wall Street and “tough” managers would do well to remember it. 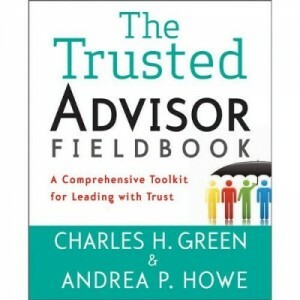 http://trustedadvisor.com/public/trusted_advisor1.png 0 0 Charles H. Green http://trustedadvisor.com/public/trusted_advisor1.png Charles H. Green2007-08-01 12:57:492007-08-01 12:57:49Does Trust Drive the Dow?